In recent Adaptation lessons it has been primarily focused on the Environment design/research side of work, If you wanted to see previous work in adaptation before reading this blog to make sure you know whats going on in my design process see blog 1 intro, blog 2 progress/design, blog 3 early character design, blog 4 first environment drawing (arena 1st person gladiator), blog 5 2nd environment drawing (arena birds eye view). This lesson we moved onto preparing ourselves to design the props/objects/vehicles of our game genre. To do this obviously you need an extensive knwoledge or decent research on your particular genre of work, mine being Rome/Gladiator I knew already due to previous areas of work the percieved image of rome and everything they used. 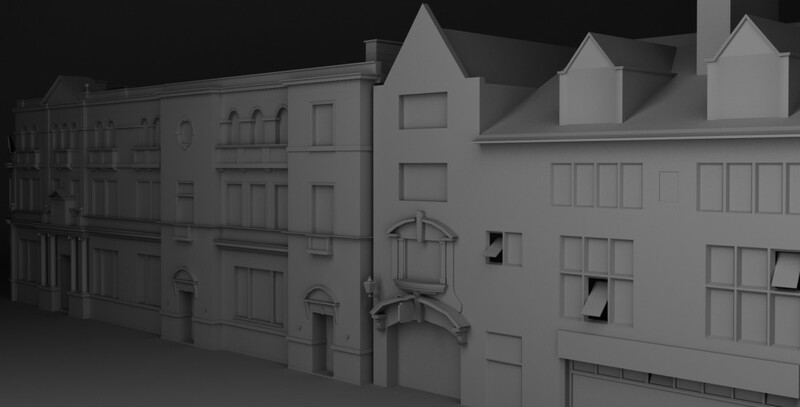 Before expanding on what i might be drawing in Rome Gareth took us onto his blog apophenia inc to show us some background information on props, prop designers, prop buyers and then some related keywords definitions. 1 – “Props Buyers” are traditionally member of a film crew (assisting the Production Designer, Art Director and Set Dressers) that examine the script/plot/story needs and then generate a buying list of objects and props which will be needed in order to bring sets to life and reflect the use of that space by the characters, groups, organisations, and/or entities that we need to believe inhabit it. 2 – “Product Design” can be defined as the idea generation, concept development, testing and manufacturing or implementation of a physical object or product. The role of the product designer combines art, science and technology to create tangible three-dimensional goods. This evolving role has been facilitated by digital tools that allow designers to communicate, visualize and analyze ideas in a way that would have taken greater manpower in the past. The term is sometimes confused with industrial design, which defines the field of a broader spectrum of design activities. Product designers are equipped with the skills needed to bring products from conception to market.” -Gareths Sleightholme- apophenia inc wordpress. Aesthetics is considered important in Product Design but designers also deal with important aspects including technology, ergonomics, usability, stress analysis and materials engineering. Aesthetics- a set of principles concerned with the nature and appreciation of beauty. Ergonomics- the study of people’s efficiency in their working environment. As with most of the design fields the idea for the design of a product arises from a need and has a use. 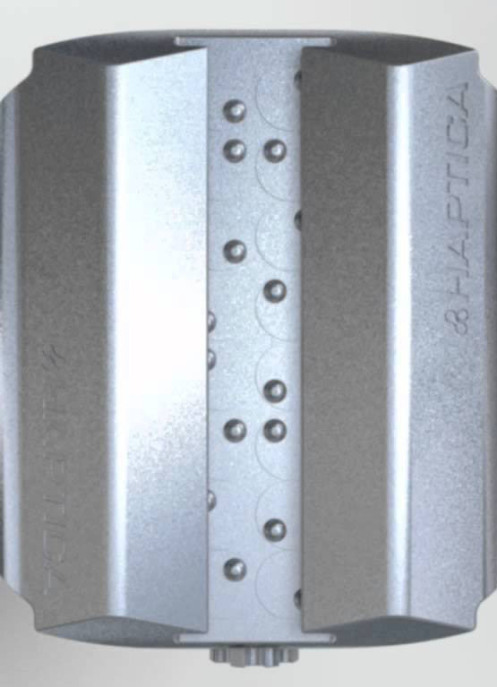 An interesting design that has been made to fit a purpose or need is the Haptica a concept design for a brail watch. Did you honestly know what this was from looking at it? i didnt i thought it was a car part possibly a brake caliper. In order to populate our environments that we have drawn we need to list and research extensively possible props that will appear in our environment, (Games Design) by David Perry is a book that is a fantastic brainstorming toolkit for this type of task. Without using that book i took to my own accord to find 36 minimum props/objects/vehicles that could appear in my genre and environment. There are 47 examples of Props/ objects/ vehicles that could possibly appear in my roman environment and im sure there are many more that i have missed out, possibly little things but the little things can still make or break the realism in your enviroment so every fine detail is to be considered and further research will need to be taken to make sure i havent missed anything. After I did this we went on to be told that we should design 3 of these props in our own time such as for me: a helmet, a sword and a chariot using our own design processes. This would result in extensive research and using examples already been made in my case to use as inspiration for helmet design. The primary use of this task is that props/ objects/ vehicles are all key fundamental things in an environment that without them it just wouldnt be relaistic (unless its some sort of deserted zombie apocolypse) also props can be used in conjunction to character design that i will be undertaking (heres a early design i did) for example: my gladiator could be holding a sword, which would need to be designed seperately in a design process so your not just using any old sword you just threw together in 10minutes in his hand, all aspects are consider and multiple drawings are made. “Design as much as possible until you are out of ideas, then keep designing even more.” – basically even if you think you have designed enough and thought of everything, keep going as the more and more you do the higher possiblilty of something unique becoming designed. Even to the point of boredom, you are so fed up with designing this helmet you become bored but then you have an extensive set of designs. This is something i will try to go by as many ideas always come out of your head so even if they are rubbish still get then down or drawn because something in that could be added to a better design to create a unique item. I am now beginning to research the first of the 3 prop/object/vehicle design that i will undertake which is a helmet for the gladiator. The mass range of helmet designs means i have alot to use as inspiration when designing my helmet e.g. full face cover with slits from dual wield heavy armor warrior, added centurion/ legion bright red headpiece of hair (mohawk style), and small spikes from the gladiator film Maximuses helmet. Thats just a quick concept idea i threw together in a few seconds just from ideas i have gathers in roman research in helemts, so much to be thought upon to help me design my helmet. Im unsure what i will move onto next after that as the list is huge to choose from but progress blog posts will be added to show my process. Categories: Creative Futures | Tags: Creative Futures, Design, Environment, Gladiator, History, List, Object, Product design, Prop, research, Rome, Vehicle | Permalink.